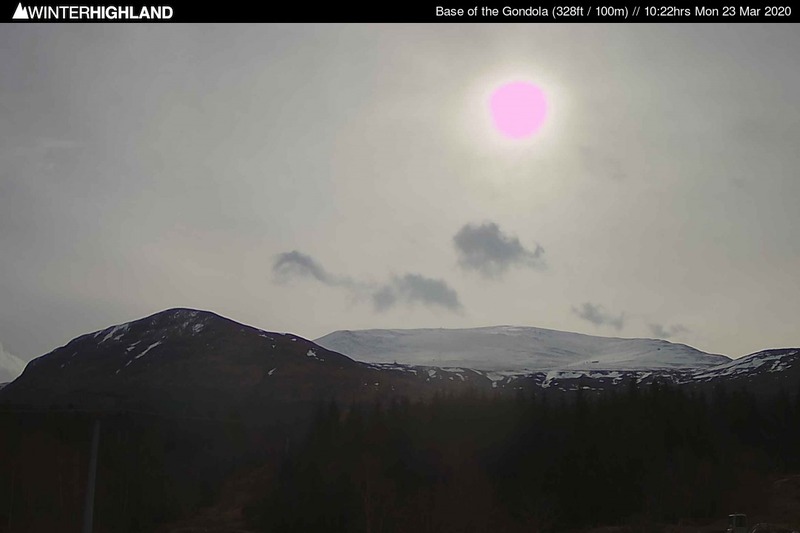 Estimated Sunrise in the Nevis Range today is at 05.56hrs and Sunset at 20.42hrs. The cameras on this page operate during daylight hours only from first light till shortly before dusk. Top of the Summit Tow. First Image due at 04.57hrs. Last image due 21.03hrs. 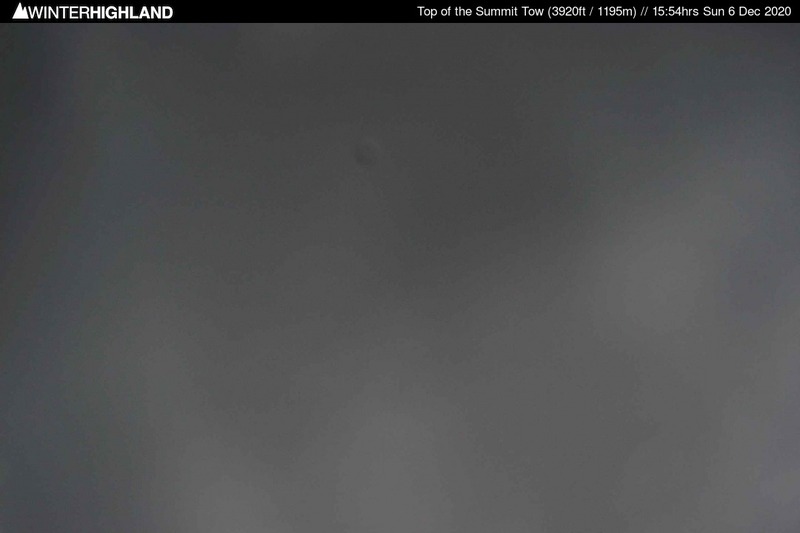 This cam looks down from the Summit Ski Patrol Hut by the top of the Summit Tow. Lower Goose Gully. First Image due at 04.57hrs. Last image due 21.03hrs. 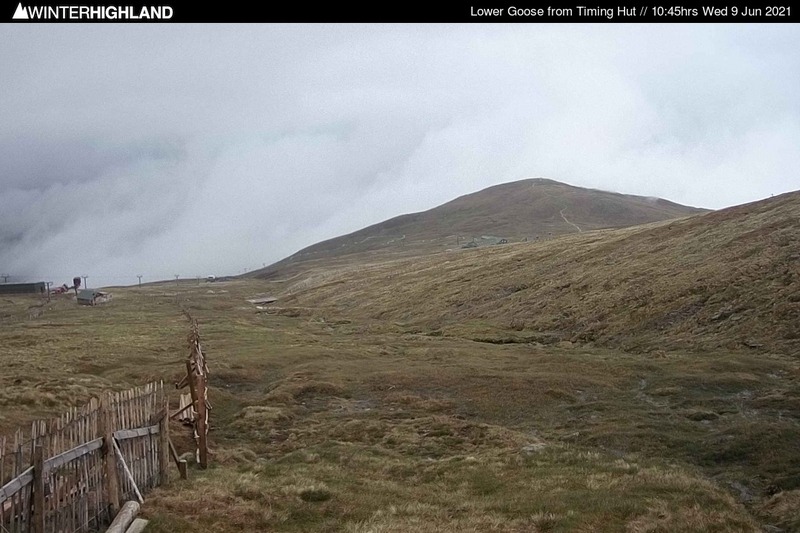 This cam looks downhill from the Race Timing hut on the lower part of the Goose towards the Allt Sneachda. Goose Gully & Goose T-bar. First Image due at 04.57hrs. Last image due 21.03hrs. This cam looks up Goose Gully from Race Timing hut on the lower part of the Goose towards the Summit Tow. Base of the Gondola. First Image due at 04.57hrs. Last image due 21.03hrs. 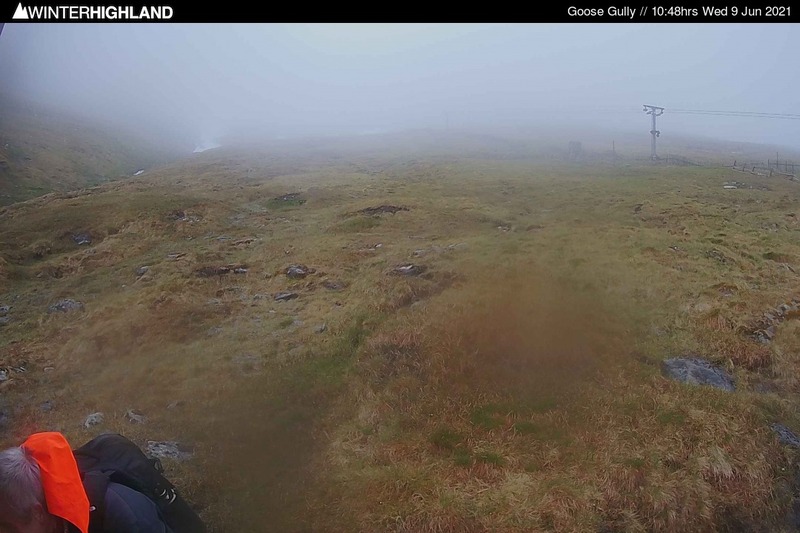 This cam looks up Aonach Mor providing the same view as the panoramic windows in the Pine Marten Cafe Bar at the foot of the Nevis Range Gondola. The view from this camera can change. 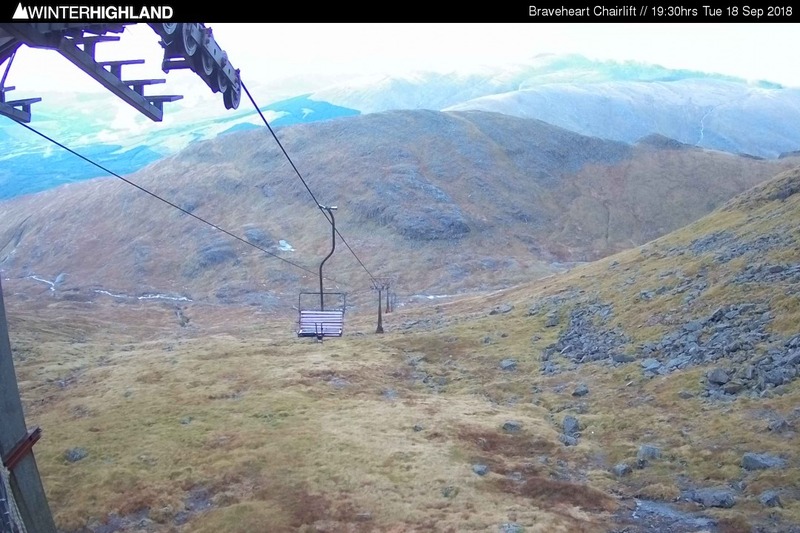 Braveheart Chairlift. First Image due at 04.57hrs. Last image due 21.03hrs. This cam looks down the line from the top station of the Braveheart Chairlift in the Back Corries, looking East towards the Grey Corries beyond. Coire Dubh. First Image due at 04.57hrs. Last image due 21.03hrs. 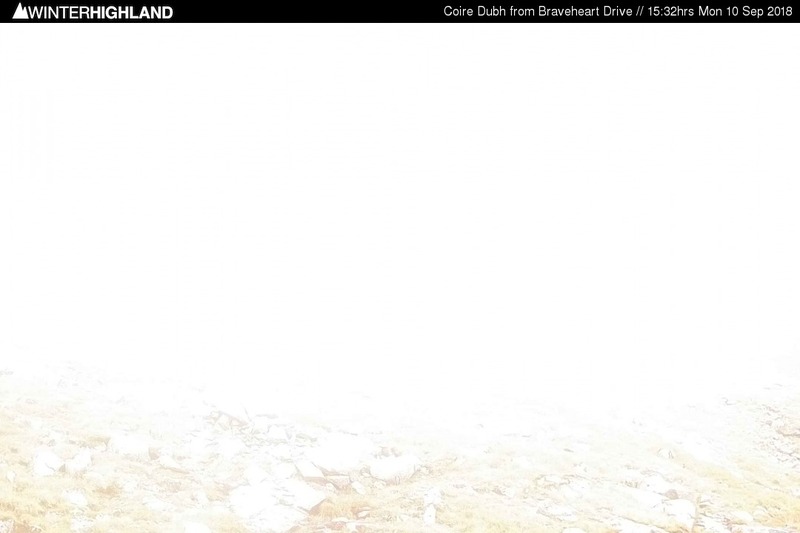 This cam looks up the Headwall of Coire Dubh from the drive of the Braveheart Chairlift in the Back Corries.